Today I would like to sum up some experienced and personal opinions on this camera in a telegram-style. The files are large, who would have thought that. Each image is between 38-45 MB in size (14-bit RAW, lossless compressed). This means that a 16GB memory card lasts for 200 images only. Take it as an opportunity to think more about each image. And delete more vigorously in post-processing. I will need an extra HDD for my Drobo raid system soon. I experienced incompatibility between the D800 and a Kingston ultimate 600x 16GB CF memory card. Seems like the controller of the D800 does not like Kingston cards. Detailed blogpost to follow tomorrow. The low-light capability of that camera is excellent, see sample images taken at ISO 6.400 and 25.600 here. The images I took looked brighter than the actual scenery I could observe with my eyes. I also encountered a problem with CLS. Triggering remote flashes using the internal pop-up flash of the D800 does not work reliably. 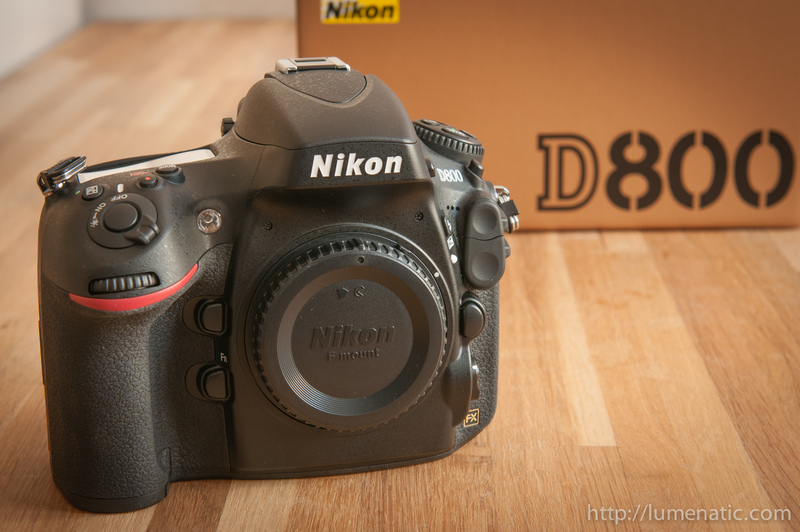 I am monitoring nikonrumors.com and other Nikon-related websites to learn if there are other D800 users with the same problem. A video demonstrating the issue can be found here, any thoughts and suggestions are welcome. Processing takes more time. Again that’s no surprise considering 36 million pixels. I use Lightroom 4 on a Macbook Pro 2.66 GHz Intel Core 2 Duo with 8 GB RAM. Exporting an image as JPG in full resolution takes 15 seconds on my Macbook Pro. When zooming into an image Lightroom denoises the image automatically. This process takes 18-20 seconds. Phew. Remember to maintain shutter discipline during the next job ! The full-frame experience is great. Images taken at 24 mm are now really wide-angled. The D800 can also record images in DX mode (when you use a DX lens on the camera), in this case only the center area pixels are used. One can manually change between FX and DX mode and so I made a test shot out of my window. Both images were taken at 24 mm. On the left you see the wide-angled shot. The complete building fits in the frame. On the right you see the DX mode image. This image is smaller since only the inner part of the sensor is read out. Time-lapse videos can be made easily. There are two modes for interval shooting in the D800. The first more is the mode which can also be found on the D300s. Set a timer, and every X seconds an image is taken for either Y minutes or Z images. This feature can also be found on the D800. There is also a time-lapse recording option on the D800. Set an interval and a duration or number of images and the camera automatically creates a time-lapse movie. The difference ? With the interval shooting option you receive a number of images. With the time-lapse option the camera creates and stores a ready-to-use movie on the card. Neat. I’d like to dig a little deeper into the CLS communication issue. If you’re interested I’d offer you to read out the flash signals with a high-bandwidth oscilloscope and try to find out, why the communication fails in some instances on the D800. Definitely would like to do that! If each image is 38-45MB, you can put 400 images on a 16Gb card, no? Odd that you mention it – the math says yes, you are right. But I have an empty 16GB card in the camera and the D800 tells me I can shoot 199 images. I re-checked the file size. In a folder with 3,55 GB worth of RAW files I have 79 images and the folder is 3,51 GB => 3,51*1024/79 = 45,5 MB per file (files actually range between 38 and 59 MB. This would mean I can take 16*1024/45,4=360 images with a 16GB card. The 200 vs 400 images thing is probably the same thing I experienced with my D200. The remaining image count is calculated with the uncompressed image file size. The camera divides basically the free space through the space of an uncompressed file. You will notice that the number of remaining shots will decrease more slowly than the number of shots you have made is increasing. I would assume that the camera needs to have at least space for one uncompressed image in order to write a compressed one to the memory card.